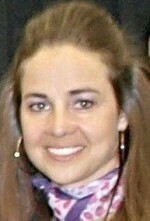 Becky Hammon was on the all-state first team her senior year at Rapid City Stevens. She was also named Miss Basketball that year. Hammon was a talented 5-foot-6 and could play any position on the floor. She averaged 26 points per game her senior year. The Stevens team posted a 17-6 record. Becky scored 29 of Stevens’ 35 points in an overtime loss to Mitchell in the state tournament that season. Hammon is the career scoring leader at Stevens where she tallied 1,417 points. She scored 41 of those points in a single game against Sioux Falls Roosevelt. Hammon, like so many other players, started playing basketball in her backyard with family members. She developed a great shot and was very quick and had a good first step. She shot 80 percent from the free throw line and 60 percent from the floor. She also shot 51 percent on 3 pointers. That’s why she was so highly recruited and ended up having great years at Colorado State University. Then it was on to the WNBA were she was a standout guard for New York and then San Antonio. After her career as a professional player ended Hammon made history by becoming the first full-time female coach in the history of the NBA when she joined the staff of the San Antonio Spurs.